BEST ignition PART DEALS MINIMUM EFFORT! Without an ignition system working effectively, you won't be able to drive your vehicle. 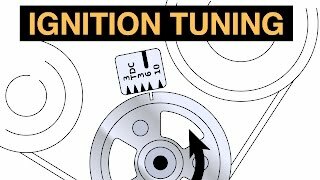 Not everybody appreciates how important the ignition system is for a car or van but here we will explain more about what is involved. Among the items for the car's ignition are spark plugs, a rotor arm, ignition modules and leads, ignition coils, glow plugs, distributors and distributor caps and condensers. Spark plugs play a crucial role and ignite the mixture of air and fuel to power the engine. However, spark plugs deteriorate over time because of wear and tear and also deposit build-up. If a plug is misfiring you should check and change the spark plugs so they perform as they should do. If your car struggles to start, it may be the spark plugs. The rotor arm spins around the inside of the distributor cap and makes contact with electrical terminals. This creates a high-voltage current that then travels along via the spark plug leads to the spark plugs to ignite the fuel mixture. Again, rotor arms can wear out over time. Found in the distributor housing, the ignition module receives a signal from the sensor or magnetic pickup in the distributor and then uses these to open and close the circuit to the ignition coil to help fire the spark plugs. 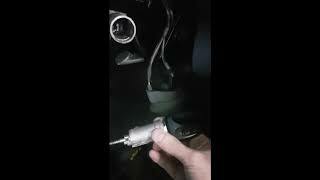 The ignition leads play an important role in this process. This is a transformer device and will transform the battery´s 12 volts into the 20- or 30,000 volts needed for the spark plugs to fire. 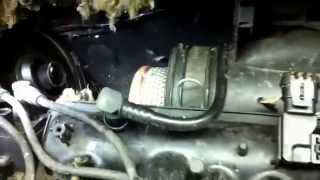 If the spark plug misfires or fails to start this could be the ignition coil failing. Glow plugs are used by diesel engines and generate the heat when the engine is cold to warm the engine block when it will be safe to start the vehicle. The distributor is the crucial link for the engine's electrical system and helps distribute the high-voltage generated by the ignition coil to the spark plugs. The distributor cap is also important as it's part of this process and is subject to a continuous stream of electrical charges and sparks. The cap itself can corrode and lead to misfires. The condenser works as a temporary storage device for the electricity and helps reduce the spark at contact points and reduce the burning of the points. To help underline just how important the ignition system is to your car or van, there are a number of issues that can be simply rectified and the symptoms may include fuel economy becoming worse, problems starting the car, a jerky ride or even backfiring. These are probably down to the ignition coil. Also, should your spark plugs become worn out, then the ignition coil will have to work harder to increase their output and this can result in failure. There's also a danger of the coil´s internal insulation becoming damaged which could then lead to the failure of the control unit so you may need to replace the whole set rather than just the coil that has failed. If you are looking for any part of the ignition system for your vehicle, then the Morepartz website will be able to meet your needs and remember that you should always invest in the best quality parts for your ignition system. One of the most convenient ways to obtain replacement ignition parts for your is to use your local or highstreet car part supplier. The advantage of using a shop is you get face to face support in purchasing the ignition part you need. 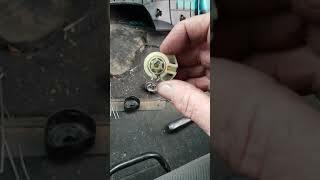 One of the most beneficial aspect of purchasing from a local store is often highstreet shops will take your ignition part back if for some reason it doesnt fit, and if in stock instantly replacing with the correct part this can often be easier and quicker than repacking and posting, and then needing to wait for the replacement ignition part to be sent out. 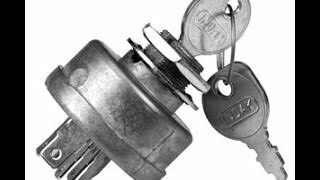 Salvage and breakers yards are are an excellent source of replacement parts, not only for ignition spares but for a whole number of different parts. Breakers yards and salvage yards purchase damaged cars and then they dismantle them and sell the parts on to the general public. If you want to make even more savings then purchasing your required part from a local could be the answer, shops, private sellers stores and all sorts of users post ignition parts for sale using classified websites such as preloved, gumtree or even craigslist. You will have to be a bit more savvy to purchase via this channel, there are no assurances that the part you purchase is fit for purpose and often if you purchase ignition parts from the public you are not protected - mostly ignition spares and parts are sold as seen, so you really need to test your ignition or know about the part your purchasing in some detail. For the convenience of shopping for spares and accessories without leaving your home then the online store usually has everything you need to get your part ignition part replaced. Its easy to find a large number of online stores to purchase your ignition replacement parts and accessories, usually the offer fast delivery to your home and refunds or replacements if the ignition part turns out to not be suitable as long as you have the original packaging. Some even offer next day delivery offering one of the most convenient ways to purchase ignition car parts. Some websites offer the ability to enter your car details and the ignition part required so they can source what you need by contacting a large network of suppliers to give you quotes on the ignition part your looking for.